For many years, Breitling Navitimer has been favored by professional pilots and aviation enthusiasts relying on the outstanding performance and high reliability. Introduced in 1952, Navitimer is named after the combination of words ¡°navigation¡± and ¡°timer¡± and the AOPA (Aircraft Owners and Pilots Association) designated the Breitling Navitimer as official timers. As time goes by, Breitling Navitimer is among the most perfect aviator watches in the world. The exquisite designs and excellent craftsmanship are so marvelous that the series can definitely satisfy modern people¡¯s fashionable appearance and practical use. Indeed, the Breitling Navitimer is chic, elegant, accurate and durable. Possessing a Breitling Navitimer is a must for each watch connoisseur. Replica Breitling Navitimer is an advisable choice if you are budget-conscious. After all, the genuine Breitling watches are not cheap, and many savvy consumers go for replica watches to pursue their luxury dream! It is not exaggerated to say that its oversized dials make the Breitling Navitimer quite impressive and appealing to those watch enthusiasts. At the same time, the application of Valjoux fitted the future developing trends of sophisticated timepieces. So Breitling Navitimer is really worth expecting! Of course, what you should not ignore is that Breitling Navitimer can not only show you the accurate time as well as beautiful appearance, but also can make you feel comfortable on any occasion. 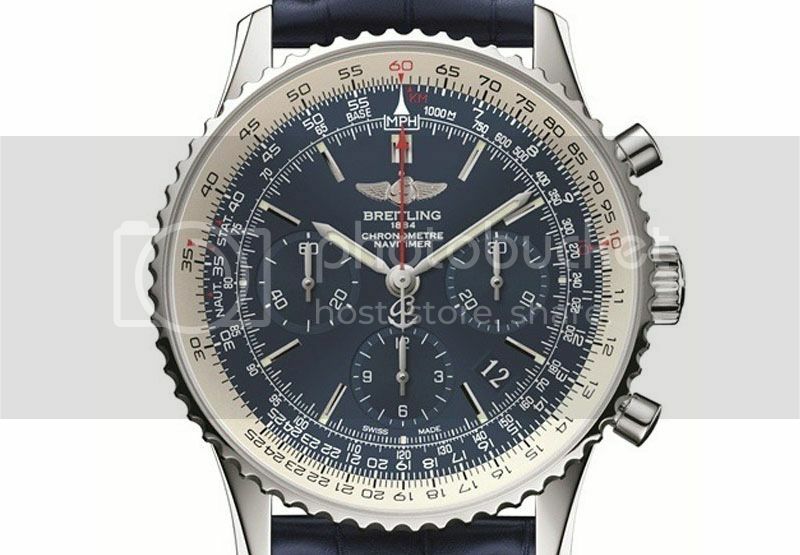 Breitling Navitimer can merit your trust if you are interested in the chic and functional watches! It is a good idea to take replica watches into consideration when you are desirous of possessing top luxury Breitling watches. Different from the genuine versions, the Breitling Navitimer replica is affordable. Of course, you can also have chances to experience the distinctive designs, perfect functions and excellent performance. Overall, these Breitling Navitimer watches are definitely the most accurate and reliable timepieces which can allow you enjoy daily time!